The chef’s Nike SB Dunk High Pro will include his restaurant group’s signature logo. chef and restaurateur David Chang has accomplished a lot outside the kitchen in his time as one of America’s most influential chefs. For instance, he’s appeared on the cover of Time, contributed regularly to GQ and starred as the subject of the first season of . Well, now you can add shoe designer to the list. , the footwear monolith’s skateboarding brand, on the Nike SB Dunk High Pro “Momofuku,” which is inspired by the cultural intersection of food, skateboarding and sneakers. "Nike SB and Momofuku have a very similar DNA – it’s all about staying respectful to culture, whether it’s the culture of skateboarding or the culture of the culinary world, while also continuing to push that culture forward through innovation and new thinking," says Jesse Leyva, Nike SB's Senior Creative Director. 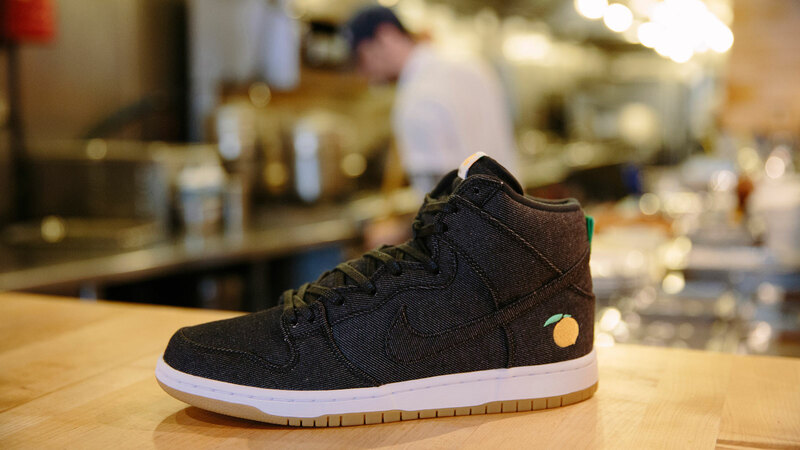 The shoe’s dark denim is modeled after the aprons worn by staff in Chang's restaurants, with the signature Momofuku logo—a lucky peach with green leaf accents—embroidered on the outside heel of each shoe. Additionally, the numbers “163” and “207” mark the sock liners, noting the addresses of Chang’s first Momofuku locations, Noodle Bar (163 First Avenue) and Ssäm Bar (207 Second Avenue) in New York City's East Village. These two restaurants hold special significance to Chang as their influence can be found throughout the Momofuku group to this day. 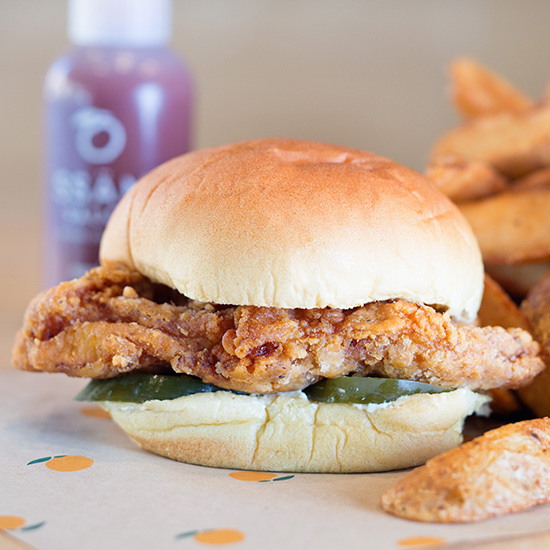 163 First Avenue has served as the long time spiritual home of Momofuku since 2004, first as the original location of Noodle Bar, then Ko and now Fuku. Additionally, Ssäm Bar will celebrate its 11th anniversary this summer and signifies the continued evolution of Momofuku. A limited number of Nike SB Dunk High Pro "Momofuku" shoes will be sold at 10:00 am on June 22 at Fuku (163 First Avenue, New York, NY) for $110. The following day (June 23) the shoe will be available at select Nike retailers.